It may strange to see a camera released well over a year ago sitting at the top of our Best High End Compacts list, but we think the Lumix LX3 still offers an unsurpassed set of features in a beautifully elegant package. It may not be the newest kid on the block, but it can still hold its own against all compact challengers, offering a 10.1 megapixel resolution sensor, flash hotshoe, full auto and manual controls and an optically stabilised, bright 2.5x optical wide angle zoom proudly bearing the LEICA name. Small and light enough to carry around all day and quick to start up, the LX3 is a great camera for everyday use, or as a hugely capable back up for your dSLR. The lens is indeed the real killer feature here, with the fast 24mm-60mm f/2.0-f/2.8 zoom offering a superbly wide field of view which is perfect for big dramatic landscapes, interiors and street shooting. Once you get used to filling your camera with such huge panoramas, going back to 28mm seems a massively restrictive step backwards. With its fast lens, wide view, built in stabilisation and solid high ISO performance, this is a great camera for low light shooting, although the limited telephoto range means that it’s definitely not for bird admiring twitchers, sports fans and paparazzi wannabes. Although it can’t quite compete with the Canon G11’s wonderful old-style mechanical controls, Panasonic’s joystick control system is more intuitive than most, and very easy to use. That said, if you’ve got fingers the size of bumper pork sausages, you may struggle with the LX3’s bijou controls. 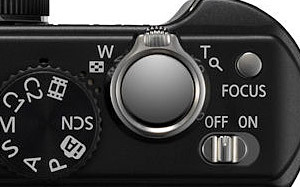 As well as the usual slew of auto and scene modes, photo pros and enthusiasts will dig the wide array of manual controls giving full control over aperture, shutter and focus settings, backed by the ability to capture RAW images. Worthy of special note is the excellent Intelligent Auto mode which does such a great job of recognising scenes and swiftly adjusting the settings accordingly that we’ve found ourselves using it by default – and we generally steer away from using full auto modes on any camera. 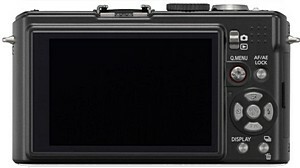 Crucially, the LX3 also offers full HD 720p movie recording – something that the two Canons in our top three can’t manage. Of course, video may not be the biggest concern when you’re looking for a high end digicam, but it’s good to have the HD option onboard. We’ve been were extremely pleased with the quality of the photos taken on the LX3, enjoying well exposed shots with good dynamic range and excellent colour reproduction. Some of the earlier Lumix cameras were blighted with dreadful high ISO noise, but we’ve been happy shooting up to ISO 400, although you won’t be surprised to see a veritable snowstorm when employing the camera’s near pointless ISO 6400 High Sensitivity mode. Chromatic aberration/ purple fringing is kept under control and the white balance has only tripped up a few times. 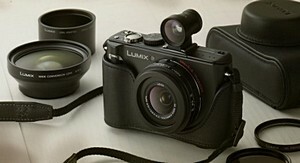 The LX3 really does deliver, time and time again. We loved this camera when we first reviewed it in February 2009, and despite a host of high end challengers coming out, it’s still our first choice of high end digital compact camera. Sporting manual and creative controls, a superbly effective auto mode, good ergonomics, a sensible megapixel count, RAW file support and a superfast lens with a useful wide angle range in a small package, this remains a fantastic camera. We’re still in love with it and with a street price of around £320, we thoroughly recommend it. Buy it on Amazon or read our full review. P:1-1/2000sec (Selectable minimum shutter speed) A/S:8-1/2000sec, M:60-1/2000sec Starry Sky Mode : 15, 30, 60sec. A worthy winner, IMO. 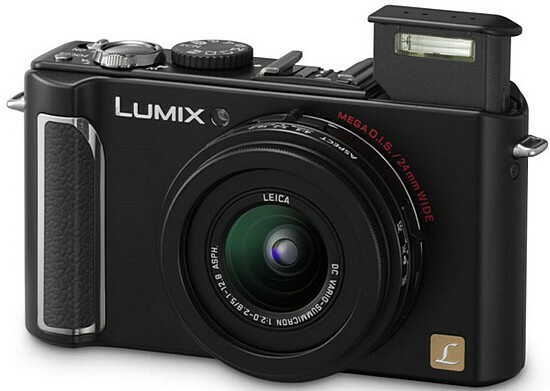 It’s a great little camera and there’s been nothing released yet to better it.